Rodent Guys gopher extermination Lake Elsinore service protects your property from the extensive damage caused from gophers and moles. Our residential service for gophers uses no poisons and is safe for children, dogs, cats and other wildlife. Our approach for gopher control Lake Elsinore with the best guarantee of anyone around. The typical approach for gopher extermination Lake Elsinore, CA home and commercial gopher removal is combined with traps and gas injection. At Rodent Guys we do not use the normal poisonous bait which is strychnine or gopher bait similar to that of rat poisonous bait. We have concluded their effectiveness is limited and the danger to your dogs, cats and children and other wildlife including predatory birds is great. Based on this Rodent Guys gopher extermination Lake Elsinore starts out by trapping in the gopher tunnels near most recent gopher evidence on your Lake Elsinore yard. These traps are positioned down into the gopher’s tunnel with small flags marking their positions. Rodent Guys typically will allow the gopher traps sit for one to seven days depending on schedule, weather and the technician’s recommendation. When we arrive to pick-up the traps the dead gophers will be removed from the tunnels which is the 1st phase of our gopher extermination Lake Elsinore. After the trapping we will use our carbon monoxide machines to place carbon monoxide gas into the gopher burrow eliminating any more gophers in the tunnel including any young in the burrow. Utilizing two seperate techniques such as these offers excellent gopher control allowing Rodent Guys to give the best guarantee. While many poison baits are manufactured for controlling gophers in Lake Elsinore, Ca but few of them have good control. Even the professional strength of gopher poison available to us, a licensed pest control company, has poor results. Strychnine is reported to be only 50-60% effective as a standalone method of gopher control. We have seen with these poisons a little higher than that but still not high enough. Not only does gopher poison not having good results for gopher extermination it is also extremely lethal to dogs, cats and wildlife as well as a child. At times gophers will force poison out of their tunnels when they don’t intend to eat it (this is common). When the gopher bait is pushed above ground it is now exposed for anyone (children, dogs, cats and other wildlife) to consume the deadly bait on your Lake Elsinore home. Poisons such as strychnine have no antidote and kill in roughly thirty minutes. The other way for exposure to the poison would be if a dog digs into the burrow going after the gopher and consumes the poison. Don’t let technicians fool you, the main tunnels are not several feet below the surface in Lake Elsinore. The tunnels on your lawn are two to eight inches down and easy to dig since the tunneling removed much of the ground already. The other way for your pet or wildlife to get poisoned by gopher bait is by consuming a dead or dying gopher that ate the poison. The lethal bait is still in the gopher’s stomach and when your pet eats the gopher it is also eating the gopher bait. If you have dogs it is strongly recommended to not use gopher bait and don’t let pest control companies serving Lake Elsinore try to tell you it is safe – it is not. Here at Rodent Guys we have used many methods for gopher control for our customers over the years in Lake Elsinore. The main reasons to use trapping as a primary method of gopher pest control is it works very well and is pet-safe, child-safe, wildlife-safe. There is no doubt when you remove a gopher that you have solved the issue. We know customers want their gopher infestation solved quickly. When we follow our trapping up with a carbon monoxide treatment we have now used a totally different technique utilizing a different technology to help ensure the best chances of full gopher extermination in Lake Elsinore. The carbon monoxide floods the gopher burrow system with an unbreathable environment which only requires them to breath as a method of control. The entire system which is connected by tunneling is filled with this deadly gas in around thirty seconds and will exterminate gophers within the tunnels including young in the burrow. After the machines are switched off the gas quickly dissipates from the gopher tunnels. People and pets above ground are unaffected by the gasses down in the tunnel. Our machines are registered and approved by EPA and State of California regulations for everyone’s safety for use in Lake Elsinore, Ca. What is the Guarantee for gopher control Lake Elsinore? Rodent Guys has the longest guarantee of any company we have seen for Lake Elsinore. Our standard guarantee is 60 days. This means during your guarantee time if you see any mounds you can call us out at no charge to your home and we will re-treat the area. We perform regular maintenance for residential and commercial properties in Lake Elsinore. This is normally done monthly consisting of Rodent Guys coming to your property once per month traversing the entire landscape and treating the gopher mounds. If activity is spotted in between appointments we can be called out to take care of it so you do not have to wait until your next service. 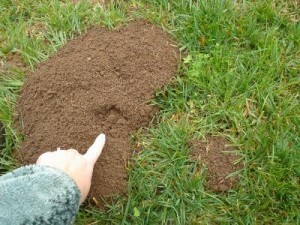 This will minimize the destruction gophers do and keeps your property in Lake Elsinore at its best. An extra visit will be done or do the next service early depending how close your following service is on the calendar. Give us a call – there is not cost for a call. We would be happy to go over your dog safe gopher removal options and quote prices on the telephone. Talk to you soon.